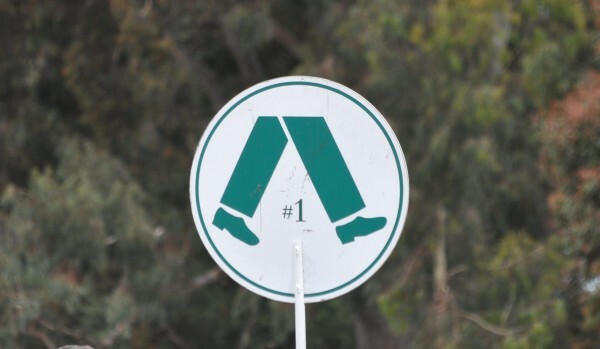 Last year, we initiated a nationwide research “project” to determine how far golfers walk during a round of 18 holes. We were curious as to how the distance on a golf course’s scorecard would compare to the actual distance a golfer walks during a round. We had long assumed that there is MUCH more walking done on a course than what a scorecard indicates. Walking to/from the carpark, 18 return trips between your buggy and the tee box (and to/from the greens), trips in/out of a bunker, raking the bunker, looking for lost balls, circling a green prior to putting, walking between putts, walking from the green to the next tee, or walking from the 9th green to the clubhouse for a coffee or restroom break, etc. So we called on readers across Australia to use various GPS measuring devices or smartphone apps while they played their normal weekly/monthly rounds, and then enter their data on our website. Well, the numbers are in. With over 1000 rounds entered (many thanks to those of you who took part! ), we sorted, sifted and separated the data, and present the results here for you. The average scorecard length for courses that our readers played came in at 5761 metres. 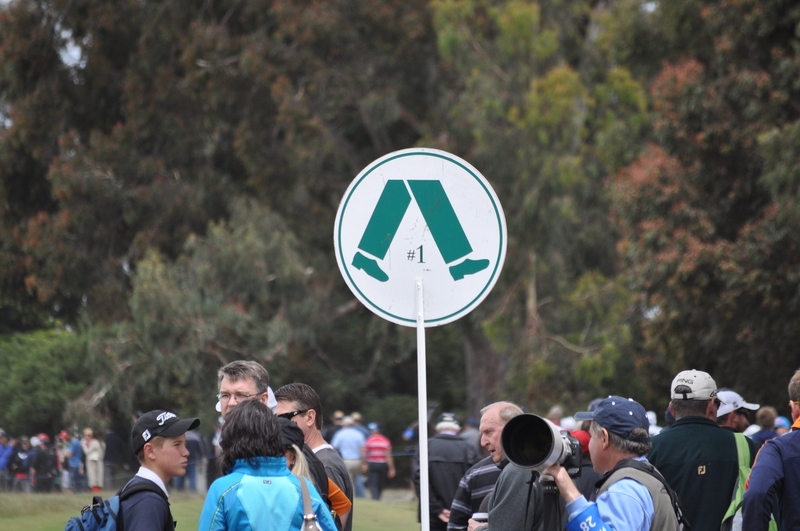 The average total distance walked by golfers in our study over those courses: 10204 metres. Just over 10km of walking in a round! No wonder we are so tired after 18 holes! 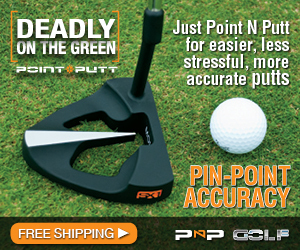 This translates to a whopping 77% increase in distance versus the scorecard length. 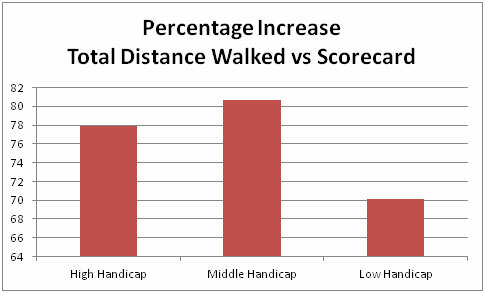 Surprisingly, it was the Middle Handicappers (11-18 hcp) who walked the furthest, with an 80% increase in distance vs the scorecard length. The High Handicappers (19-36 hcp) came in next with a 78% increase, while the Low Handicappers (0-10hcp), as expected, came in lowest at 70%. Middle handicappers appear to walk the furthest distance in a round of golf, with a whopping 80% increase in distance vs the scorecard length. The difference between High and Mid handicappers can potentially be explained due to the fact that the makeups of the threesomes/foursomes in the respondents’ groups could have varied greatly, and as we all tend to help each other look for lost balls, etc., then each round could have had many variables that were not reflected in the survey. In the battle of the sexes, it was a dead heat, with both men and women walking around the same 77% further than the card. A large number of respondents also included additional data in their entries. The most informative was the “Calories burned”, which is provided by many of the smartphone apps like “Map My Run” etc. In general the average number of calories burned was in the 900-1000 calories range. And these numbers reflect only the walking (and sometimes the changes in elevation); they don’t take into account the swinging of the club, pushing the buggy, bending/kneeling or other movements. Burning a thousand calories in around 4 hours is no minor number, and represents some great health benefits. Especially in this era of growing obesity worldwide. According to an article by the Mayo Clinic (link available on our website) we should aim for 30 minutes of physical activity a day. A round of golf smashes that recommendation, and burns (according to their charts for a 91kg person) nearly 400 calories per hour. This is similar to a leisurely 10mph bicycle ride or even a bit of downhill skiing. So there’s the proof. Golf is great for health! A few more bits of data from our survey: The average age of respondents was 54 years old. Males comprised 90% of the survey, and the average time to complete a round was 4 hours and 28 minutes. Breakdown by state: NSW golfers comprised around 45% of respondents, with Vic golfers coming in at 32.7%. Other states: Qld: 11%, WA: 3.8%, Tas: 3%, ACT: 3% and SA: 1.5%. Again, thanks to all of you who took part, and we’ll see you (we hope) in the fairways. 2 Responses to "The results are in: how far we REALLY walk during 18 holes"